With 2019 already roaring to a start, we want to give brands and influencers a leg up on the competition. So we've compiled a list of the top influencer marketing predictions that will rule 2019. Let's take a look. Why is video still the king? Because videos are more engaging and authentic than all other forms of content. This practical guide shows you how to use tools to find and interact with influencers on the best social media platforms for outreach, that’s Twitter, LinkedIn, Facebook and more. Authenticity has, undoubtedly, been one of the key drivers of the success and popularity of influencer marketing. It’s the predominant reason why people do not trust traditional advertising anymore. They want social proof instead. In fact, a study by Wyzowl found that 81% of consumers have decided to buy products or services after watching videos about them. Audiences are able to see right through photos that have been heavily edited. In contrast, videos are more authentic, interactive, engaging, and fun to watch. So, with the growing popularity of YouTube, Instagram Stories, Facebook Stories, IGTV, and Facebook Live, videos are going to be the order of the day in 2019. For influencers, it’s imperative to start following this trend. If numbers are to be believed, the global spend on influencer marketing is likely to reach anywhere between $5 and $10 billion by 2020. 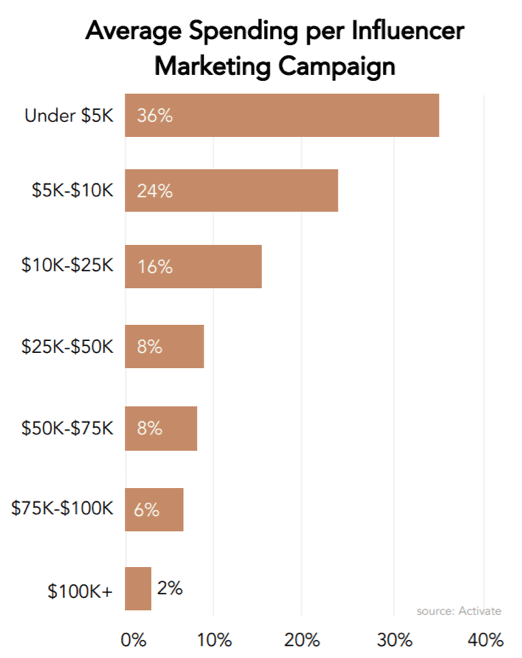 In fact, 40% of marketers in a survey reported that they spend more than $10k per influencer marketing campaign. With so much money being invested into this form of marketing, there will be a much greater focus on the measurement of results and ROI. Manual calculations can only get you so far. For an accurate measure of the ROI, influencer marketing tools and platforms are absolutely essential. With the right tool, you can optimize your influencer marketing budgets exponentially. For example, the influencer marketing platform, Grin, can help you track and measure the performance of your campaigns efficiently. It even assigns monetary values to metrics such as impressions and views so you can analyze which of your influencers have been most effective. In addition, you can add tracking links easily and measure sales or conversions generated by influencer posts. Why go another day without analyzing exactly how effective your influencer marketing campaigns are? Since its launch in August of 2016, the popularity of Instagram Stories has spread like wildfire. As of January 2019, this fun feature on Instagram has more than 500 million monthly active users. Up from 300 million in October 2017, the number of daily active Instagram Stories users saw a 66% increase in just 15 months. Stories aren’t just fun to watch and engage with, they’re quite useful for marketing as well. In fact, a study found that 15 to 25% of Instagram Story viewers use the swipe up feature to visit a brand’s website. 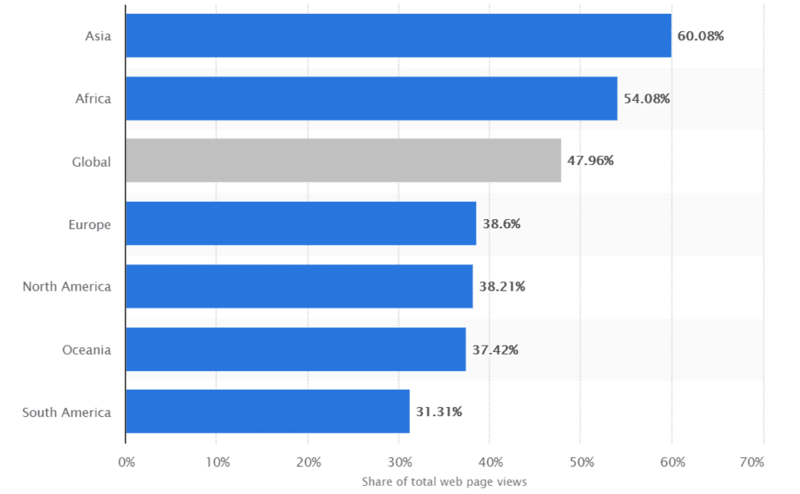 This, combined with the fact that Stories are immensely popular, indicates that they will continue being a popular content format for influencers and brands in 2019. Facebook Stories are closely following at its heels (150 million daily active users). You should definitely leverage them to grow your brand. As discussed earlier, authenticity is a key factor that determines the success of influencer marketing. Of course, this form of marketing is a lot more credible than traditional ads. However, with the tens of thousands of influencers being commissioned to promote brands, trust is slightly fading away. As competition in the industry continues to rise, so does the need for authenticity. 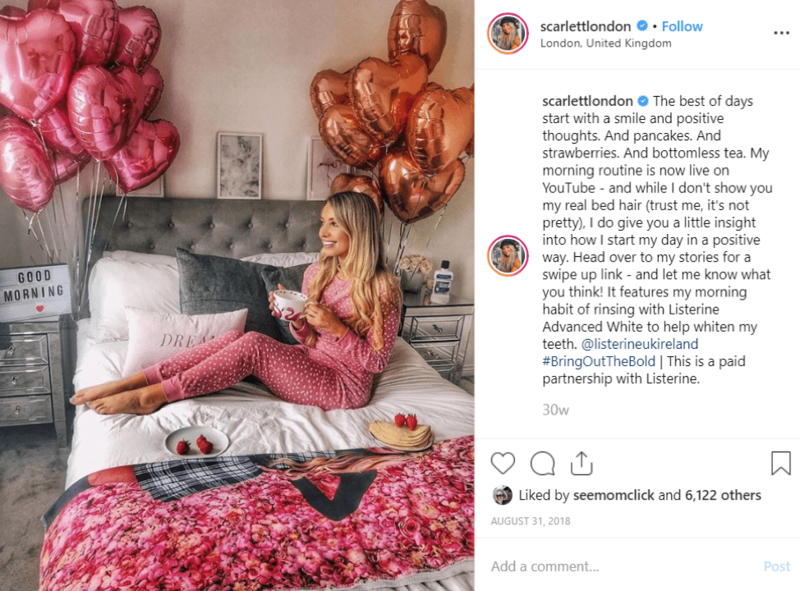 The recent influencer marketing fiasco that Listerine experienced was yet another reality check that showed just how much audiences detest insincerity. Consumers demand authenticity from influencers and so brands need to be extra careful to make sure that they collaborate with the right influencers. Brands need to take special care to evaluate their potential influencers. This includes vetting their content for aesthetics, authenticity, audience sentiment and the values they share. Also, other parameters like engagement rates, follower counts, and their niches will also need to be evaluated. It’s no secret that Instagram is a favourite for a majority of brands and content creators out there. In a survey by Activate, 91% of marketers reported that Instagram is their favourite platform for posting influencer-generated content. Instagram’s new feature, IGTV, provides content creators with yet another opportunity to engage their audiences. IGTV allows influencers and brands to create long-form, vertical videos with a maximum duration of an hour. The best part about IGTV is that it allows users to view videos vertically, without having to flip their phones sideways for a better experience. With mobile devices accounting for almost 48% of all web traffic, and the rising popularity of video content, IGTV may well become a favourite for influencers and brands next year. The more authentic your influencer-generated content appears the greater are your chances of winning the trust of your audience. This directly translates into revenue and a greater ROI from influencer marketing. To achieve this, brands will need to look beyond one-off partnerships with influencers. You can no longer afford to be transactional. Instead, you need to invest a good amount of time and effort into growing and nurturing your relationships with influencers. Treat them as your partners, share your campaign goals clearly, provide them with creative freedom and fair compensation, and be easily approachable. Stronger relationships are likely to make them more committed and enthusiastic about working with you. This, in turn, can help you win over your audience more easily. Building strong relationships with influencers is as important as nurturing your customer relationships. The trends mentioned above can help you plan your strategies efficiently so that you can run immensely successful campaigns this year. As for influencers, these insights can help you understand what brands might be looking for, so you can focus on providing more value through your offerings.